Join us on Tuesday, April 16 at 6:30 p.m. for another Tech on tap! Hear about the state action plan for smart communities, how the plan supports local government initiatives and, of course, some of the really cool technologies that make this discussion relevant. David Ihrie is co-leading the Virginia Smart Communities Working Group and, along with CIT Broadband, is helping bring this new generation of capability to all Virginians. 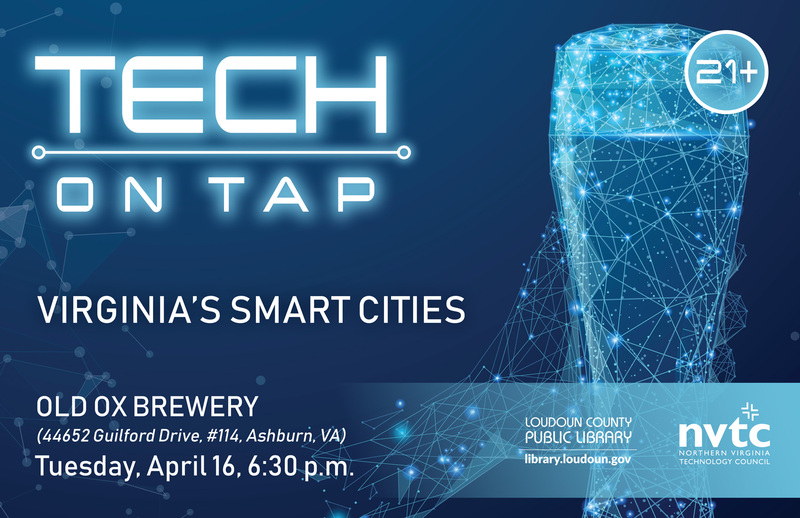 Tech on Tap is presented by Loudoun County Public Library and is open to adults 21 and older. Registration is not required. Learn more at https://tinyurl.com/y2kpbsj8.